In a small saucepan over low heat, combine milk, cream cheese, honey and vanilla. Whisk the mixture constantly until the cream cheese is melted and the mixture is smooth. Remove pan from heat and allow mixture to cool completely. Layer mashed fruits and cooled cheesecake base into the Zoku Classic Pop molds. Place handles in Zoku Classic Pops and freeze for 8 hours. 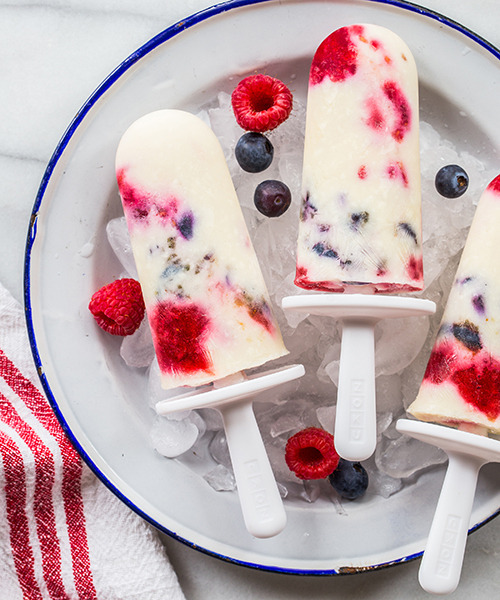 Note: Mash berries in individual bowls to create festive red, white and blue pops.